It is my unwavering belief that astrological glyphs are ciphers with implications pertaining to the very basic nature of each zodiac sign. However, interpreting said glyphs and cryptograms, in addition to the planetary symbols can be tricky. Especially when you have a clouded understanding of particular zodiac signs. Myths tend to get a bad wrap in our society. People assume them to be just tall tales. And while they are allegorical in nature, they can get us thinking about humanity from a different, more figurative perspective. Not surprisingly, cultural myths can tell us a great deal about the astrological personalities. And so can the corresponding glyphs and assigned elements. Aries all have that simple desire to kickstart certain components of their lives and throw themselves into new opportunities that promise progress, even the quiet and idle ones. 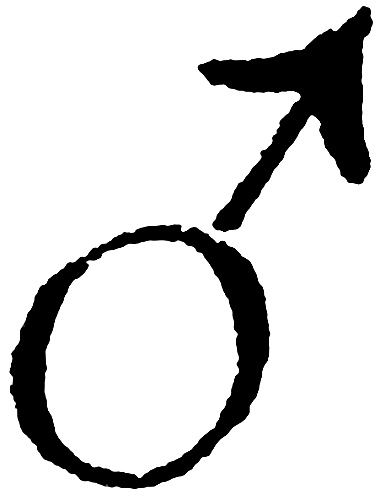 And the symbol of the planet Mars, with the arrow sprouting from the circle illustrates this instinct. The circle of the symbol represents the core of Aries, the desire, whatever that desire may be; and the protruding projectile symbolizes the enacting of that desire. Once Aries is passionate about a goal, they spring into action, without hesitation or consideration. The astrological glyph which, upon first glance, obviously resembles a ram’s head (complete with horns), also represents the motivating force and secret behind Aries’ infamous drive. This sign, like its season of spring, embodies the blossoming stage of development and the advent of creation. 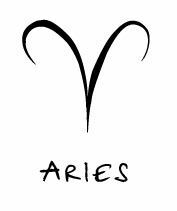 Aries belongs to the first house, which is the house of identity, physicality, and of embracing the self. And so an urge to use their physiques is instilled in Aries from the onset. The ram’s head glyph, with the two horns converging into one sharp point symbolize the targeted meeting and manifestation of Aries’ head (symbolized by the right horn) and heart (symbolized by the left horn) into physical power and communication. This is sign is not static, it is focused on growth, development and motion. And that fact explains why a number of Aries have very little patience for idleness and lethargy. Movement is a means of demonstrating and expressing what Aries would otherwise only be able to think or feel. Excerpt from my book, Aries: the Gladiator. To read more about the instinctual and physical nature of the first sign of the zodiac, click here.